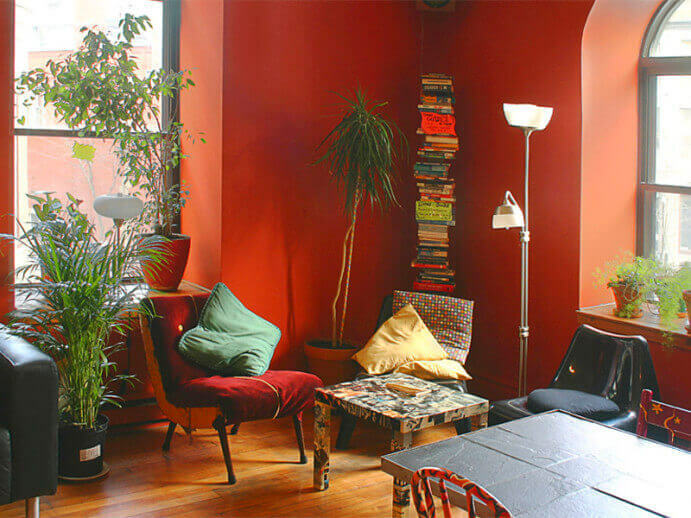 On the + side: one of the cheapest spots in the Old Montreal. 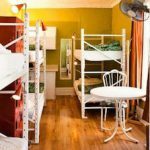 Right in the middle of the Old Montreal, nestled in a former warehouse, this colorful hostel makes for a great pick for low budgets. 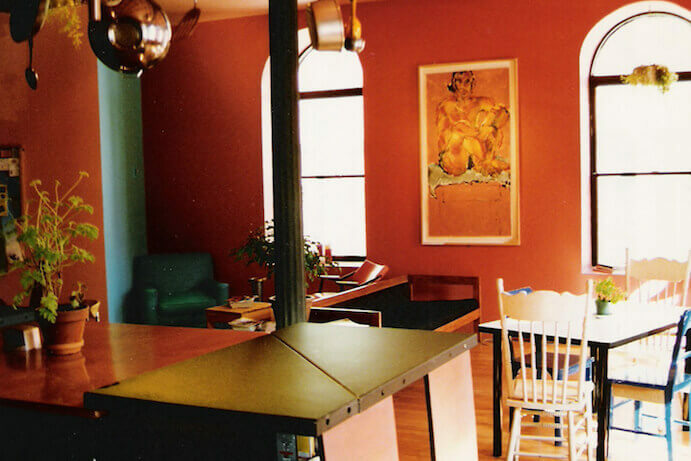 Far from being dodgy or gloomy, the Auberge Alternative of the Old Montreal is a cheap and fun spot. 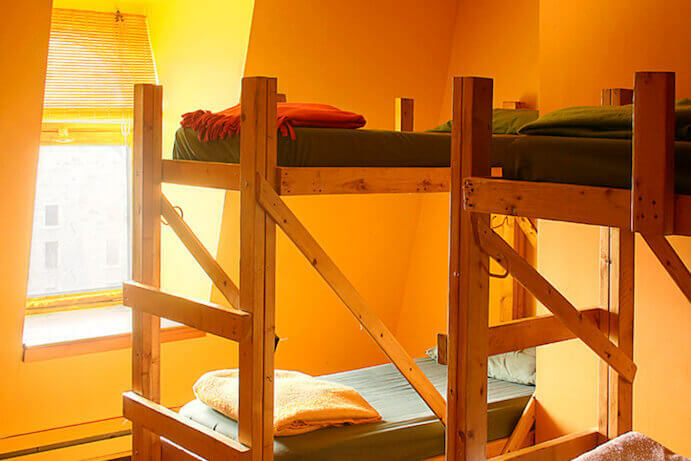 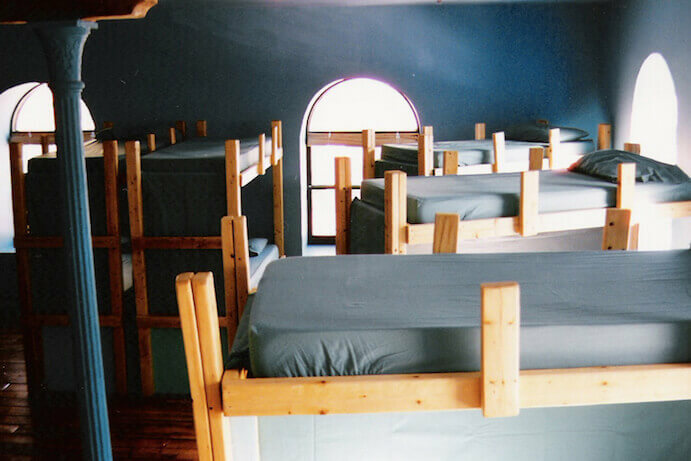 Located in the heart of the Old Montreal, this hostel offers bed in dorms, the largest one – named Le Grand Bleu – counts 20 beds whereas the six other dorms count between four and ten beds. 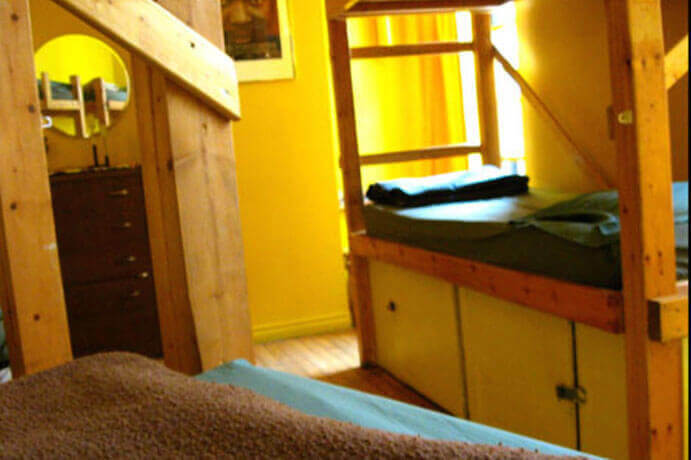 One of these dorm rooms is for female travellers only. 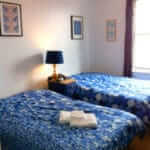 A few small double rooms are also available. 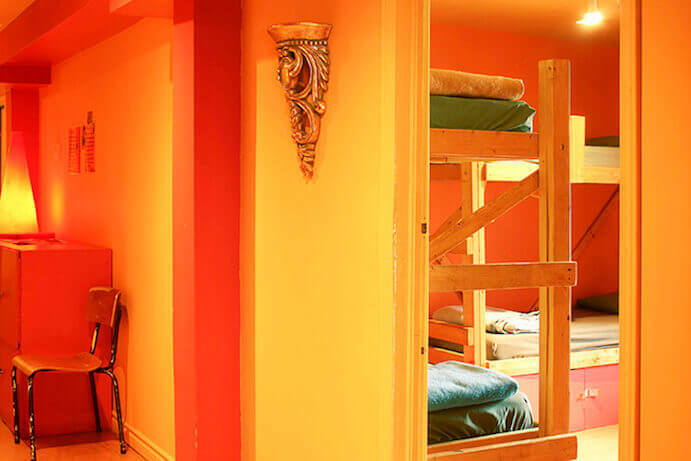 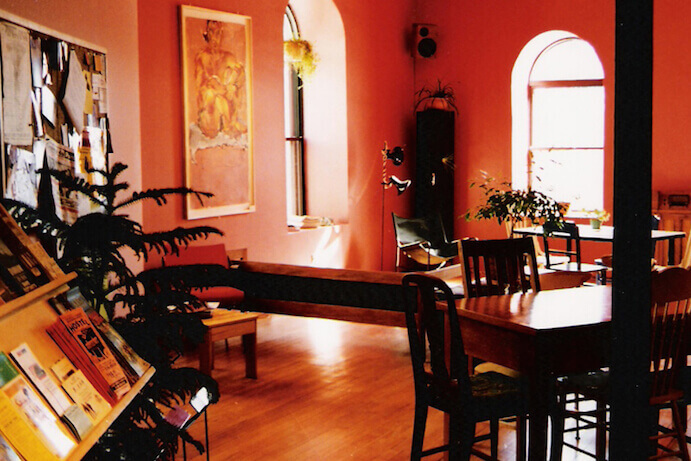 The spot is clean, the homey decoration, and the friendly staff set this hostel apart from the rest. 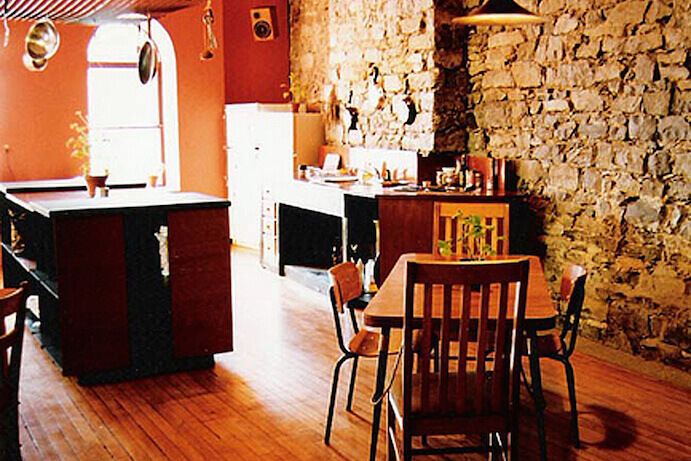 A living room-kitchen is available for clients and coffee is complimentary. 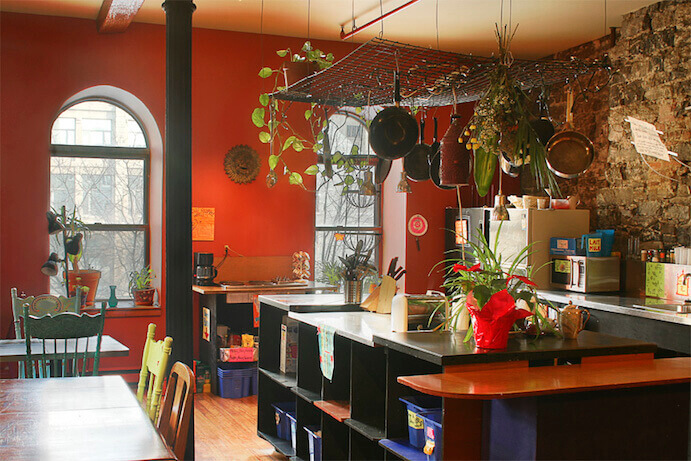 Very practical location: right in the Old Montreal, at 10 minutes walking distance from the Square Victoria metro station (line 2, orange).